Kendyl, 5 months old. 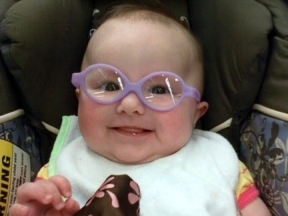 Just minutes after getting her glasses for hyperopia, astigmatism, and intermittent strabismus. They are Miraflex.